Of course, that depends on your goals and what you are passionate about. We always begin the conversation with those two questions when we talk with prospective employees who are interviewing for a position at Klausing Group. We want to know: What matters to you? What do you love about landscaping? Where do you see yourself tomorrow—and five years from now? Our culture is focused on “train, retain and promote.” That’s the difference between working at Klausing Group and some other organizations. We invest heavily in onboarding and training new employees, and we provide a career development guide that shows team members pathways for growing a career here. Our door is always open to talk about “what’s next.” Some are very satisfied with serving on a crew and performing our high level of landscape maintenance for commercial clients in Lexington. Others wish to progress to management positions. We guide our employees to reach their goals, ensuring that they achieve proper certifications and gain the experience needed to reach the next level. #1 Will I have an opportunity to learn and grow? Some new employees Klausing Group hires come in with clear goals and ideas about where they want their careers to go. Others are not quite sure, and that’s O.K. We take the time to introduce every new hire to all aspects of Klausing Group through a 90-day onboarding program, so they learn the skills necessary for every position. Throughout an employee’s time at Klausing Group, we provide mentorship opportunities. 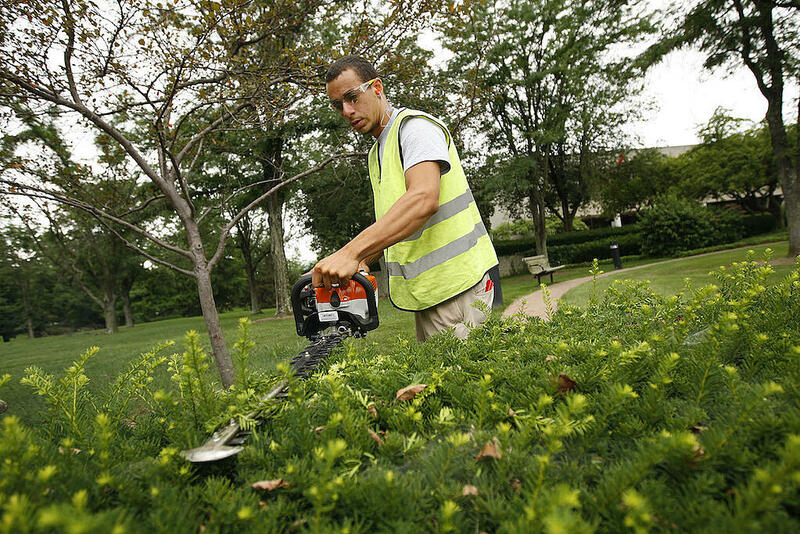 >>Job Tip: Find out what training opportunities are available at the landscape company. Does the company have an onboarding process? What will you learn through your onboarding process? Is there a clear career development strategy outlined so you can see what your future would look like at the company? #2 What is your safety record? This is an often overlooked issue, and most interviewees would not think to ask this of a landscape company. But safety is crucial. A company’s safety policy says a lot about the culture, how they train their people and take care of equipment. It shows they value the health and wellbeing of their team members. 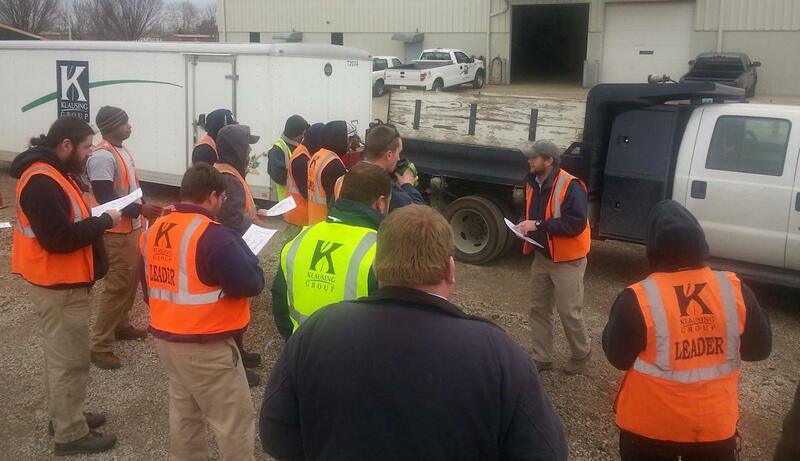 At Klausing Group, we have a record of over 1,000 days of no lost-time accidents. That is rare in the landscape industry. It matters because safety speaks to a company’s professionalism and investment in creating a quality workplace. >>Job Tip: Find out what the company’s safety record is, and ask about safety training programs. What is the landscape firm’s record for lost-time accidents? #3 Do you perform pre-employment background checks and use E-Verify? 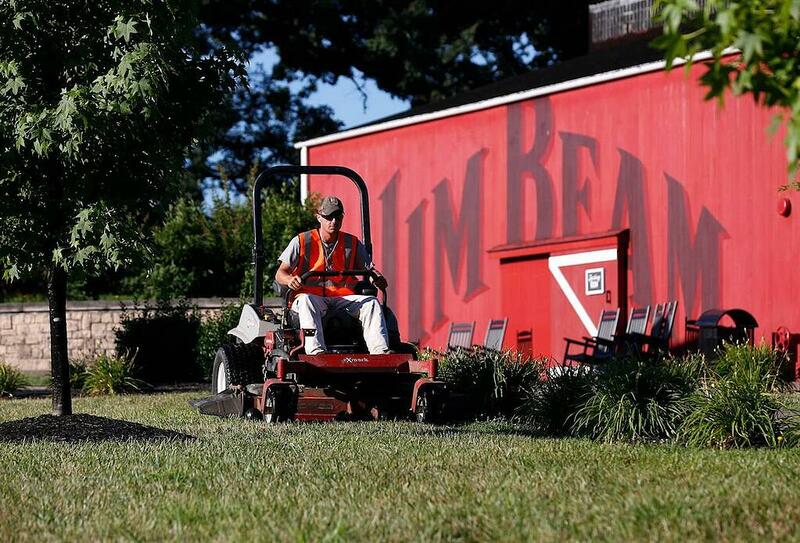 There are an estimated 35,000 undocumented immigrants working in Kentucky, and many of them are employed by the landscaping, construction and service industries. The solution is E-Verify: an Internet-based system that allows companies to determine the eligibility of employees to work in the United States. E-Verify is not required, but Klausing Group voluntarily uses it as an employment practice. We believe it should be an industry standard. It sets a precedent for professionalism. So do pre-employment drug screening and background checks. We value our team and our clients, and believe this raises the level of professionalism and makes our company attractive to the talented people we want to attract. >>Job Tip: Companies that require background checks and use the E-Verify system are electing to take extra steps during the hiring process. They’re setting the bar for a professional work environment. #4 How much do you pay? How is experience compensated? We use a career path development guide that determines how individuals at Klausing Group are compensated. The guide includes skills, certifications and experience in a sort of checklist. We walk through the checklist with prospective employees and review what competencies they have, and which ones they must attain to reach the next level. Compensation aligns with this career path development guide. We find this structured guide makes compensation completely transparent. And, it gives employees goals to work toward if they want to increase their compensation. >>Job Tip: Pay often seems like it is arbitrarily assigned to landscape positions. When there is transparency and employees recognize how gaining experience, skills and certification can elevate pay, they understand how they must improve to earn more. The more you learn the more you earn. #5 What benefits do you offer? Klausing Group offers various benefits depending upon position, including paid time off and paid holidays. We also give workers a uniform allowance, and an opportunity to have medical and dental insurance. We offer a retirement plan with employer match. We encourage continuing education, subsidizing 65-plus training hours per employee every year. All of this shows an investment in our people. >>Job Tip: Ask about additional company benefits. How a company treats its employees is a reflection of the company culture and the organization’s professionalism. #6 Can you share reviews from current and past employees? Ask for reviews. It’s important to gather unbiased reports and reviews so you can get a feel for what it is like to work at the landscape company. Keep in mind, not every employee has a good experience working at a company. (Perhaps someone was simply not a good fit.) But overall, you’ll gain a good feel for a company’s integrity and character by the way former and current employees speak of the organization. >>Job Tip: Also look at customer reviews of the company. This is another indicator of quality, professionalism, and integrity. The landscape company is interviewing you to determine if you are qualified for a position, and if your character and personality fit the culture. Their goal is to determine a mutual fit. But you are also interviewing the company to find out if the organization is a place where you can learn and grow. Ask questions! Begin with this list, and add your own questions. Prepare for the interview by making a list of what you’ll ask. Let’s talk more about what it’s like to work at Klausing Group. 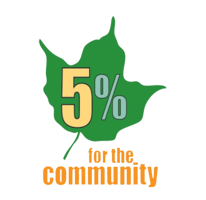 Call us any time in Lexington at 859.254.0762, and in Louisville at 502.264.0127. Or, fill out this form to apply for a job, and we’ll get in touch with you.